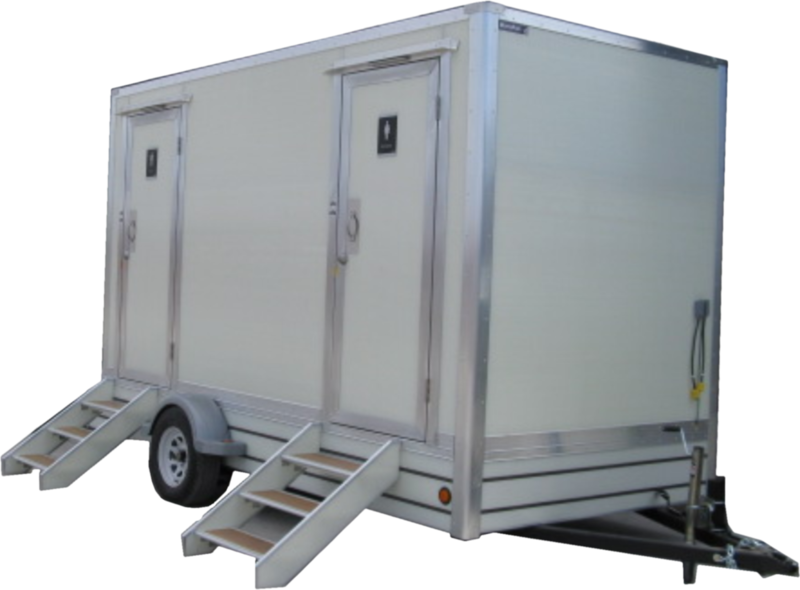 Versatility and comfort are two highlights of the VIP-2M Washroom Trailer. The versatility comes in the form of two large private rooms built for high capacity. The comfort is provided by upscale amenities which include a ceramic toilet, sink and urinal (on men’s side), a soap dispenser, mirror and coat hook among others. The exterior is made of ultra-durable MonoPan® providing a sleek and easy to maintain appearance. To regulate temperature the unit is insulated and includes a heater while a built-in exhaust fan keeps the inside air cooled during warmer seasons. Lighting accents both inside and outside provide an inviting sensory experience. External 60" X 159" X 112" and tongue at 52"
Footprint required: 100" X 212"
After delivery the unit must be powered & heated for 24 hours prior to being filled with water.